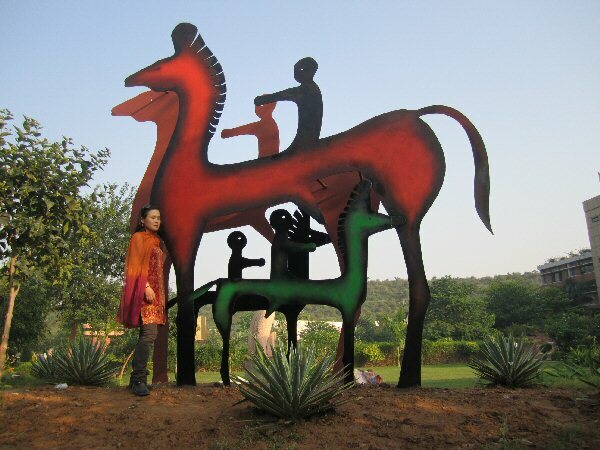 In 2010, Chinese sculptor Zhang Yaxi was invited to represent China at an international sculpture symposium in Gwalior, India where she created an equestrian sculpture installation - a horse and rider grouping (4 horses and 4 riders). 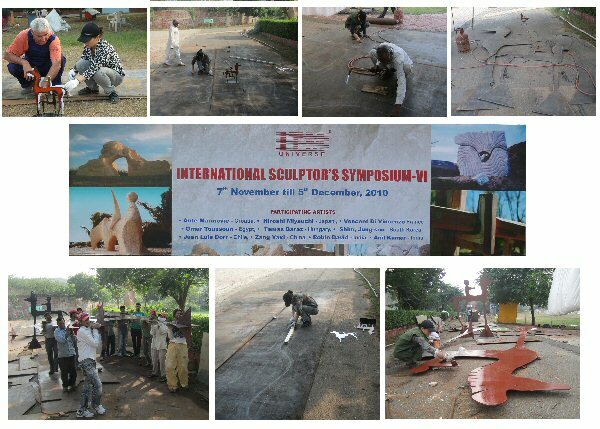 This monumental, contemporary sculpture installation is in steel, painted in situ. The grouping is playful in its simplicity, with a stylized and almost naive rendering of the forms, yet it is also poignant: two adult riders in conversation, with two young riders flanking them on either side create a powerful tableau. Chinese sculptor Zhang Yaxi and assistants working on "Horses & Riders"
Zhang Yaxi and assistants during the installation phase of "Horses & Riders"